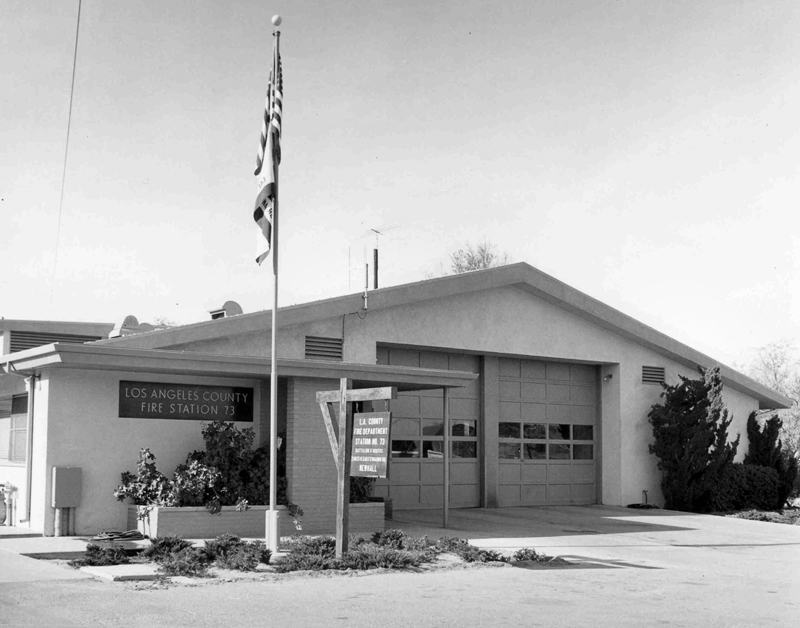 Los Angeles County Fire Station 73 as it appeared in the 1970s. The station was built in the 1950s at what is now 24875 Railroad Ave., immediately north of the 1928 structure it replaced. FD7001: 19200 dpi jpeg from jpeg courtesy of Fire Capt. Paul Peppard, Station 73, Los Angeles County Fire Department, 2014.